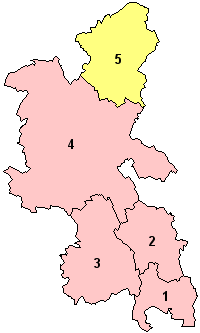 Buckinghamshire is divided into four districts, Aylesbury Vale, Chiltern, South Bucks and Wycombe. 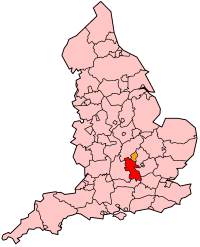 The ceremonial county (which is based on the post-1974 administrative county) also includes Milton Keynes. It is an agricultural county, covering part of the Chiltern Hills to the South and the Vale of Aylesbury to the north. The highest point is Coombe Hill near Wendover at 876 feet (267 m) above sea level. It has fertile agricultural lands, with many landed estates, especially those of the Rothschild family in the 19th century. Industry is mainly agricultural, with furniture-making traditionally centred at High Wycombe, pharmaceuticals, service and distribution industries. There are some residential commuter areas for London in the south. The modern county of Buckinghamshire is administered by Buckinghamshire County Council. The county council was founded in 1889 with its base in new municipal buildings in Walton Street, Aylesbury (which are still there). In Buckinghamshire local administration is run on a two-tier system where public services are split between the county council and a series of district councils. 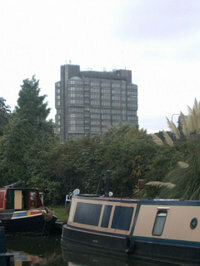 In the 1960s the council moved into new premises: a 15-storey tower block in the centre of Aylesbury (pictured) designed by architect Thomas Pooley. Said to be one of the most unpopular and disliked buildings in Buckinghamshire it is now a Grade II listed building. In 1997 the northern part of Buckinghamshire in Milton Keynes Borough separated to form its own single-tier local administration system however for ceremonial and some other purposes Milton Keynes is still considered to be part of Buckinghamshire. 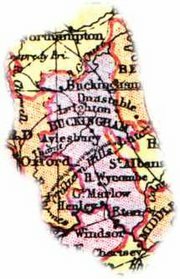 The name Buckinghamshire is Anglo Saxon and means The district (scire) of Bucca's home. Bucca's home refers to Buckingham in the north of the county, and is named after an Anglo-Saxon landowner. The county has been so named since about the 12th century; however, the county itself has been in existence since it was a subdivision of the kingdom of Mercia (585–919). In the early to mid Victorian era a major cholera epidemic and agricultural famine took their hold on the farming industry which for so many years had been the stable mainstay for the county. Migration from the county to nearby cities and abroad was at its height at this time, and certain landowners took advantage of the cheaper land on offer that was left behind. One of the county's most influential families arrived in Bucks as a result of this, the Rothschilds, and their impact on the county's landscape was huge. This is a list of the towns in the county of Buckinghamshire. This is a list of the towns in the traditional county of Buckinghamshire that after various local government reorganisations are no longer adminstered by it.